Kaitlin is going to turn three in slightly more than a month's time and we've sort of been toying with the idea of moving Kaitlin to her own room. Of course, having slept with us for close to three years Kaitlin isn't very open to the idea when we asked her. In fact, till now she still needs me around to put her to sleep. I myself can forsee that if she does sleep in her own room she would probably still wake up in the middle of the night and come to our room to find us. I personally feel that if that's the case then there's not much difference. Well..no harm dreaming right! Amidst our busy schedule, I've been thinking of Kaitlin's future room. She technically has her own playroom which we've sort of decorated but it feels very half done. 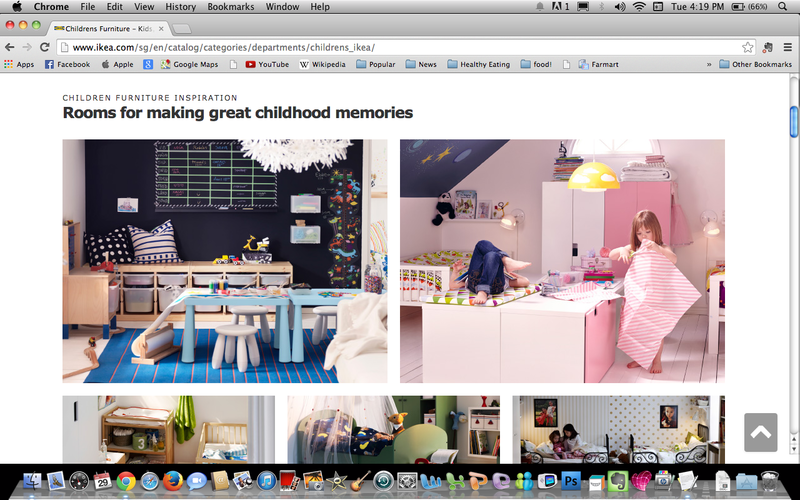 I went on to Pinterest (my favourite inspiration site!) and saw lots of ideas I loved. But as Daddy Ki says, I can do whatever I want the only rule is to throw out stuff first to make space so I've got to declutter :( which to be honest is quite hard for me to do since I'm quite the hoarder. I know the entire process to do up Kaitlin's room is going to be a long one. We've got to declutter and then search for furniture to store Kaitlin's toys and also furniture that is safe for her. That can at times be pretty tricky. If you are in the same situation as me or are ahead cos you can just buy and decorate away..here are some options to give you more ideas and choices. A great inspiration site. Just pin whatever you like and you have your very own inspiration board. Think reading nooks that range from an easy to set-up cosy corner in the room to a teepee with fairy lights. 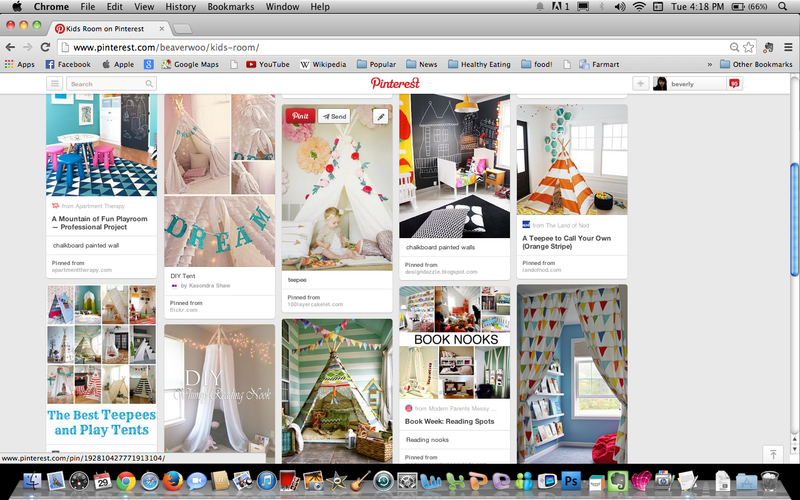 There are lots of pinned DIYs as well, so explore away. Here's my board! Everyone knows IKEA. In fact it's our go to place to see pretty furniture, get household display items, children's items and of course the meatballs. Products are cheap, affordable and modern! Best part is their furniture are catered to children from newborns up to 12 years old. Still can't find any furniture you like? 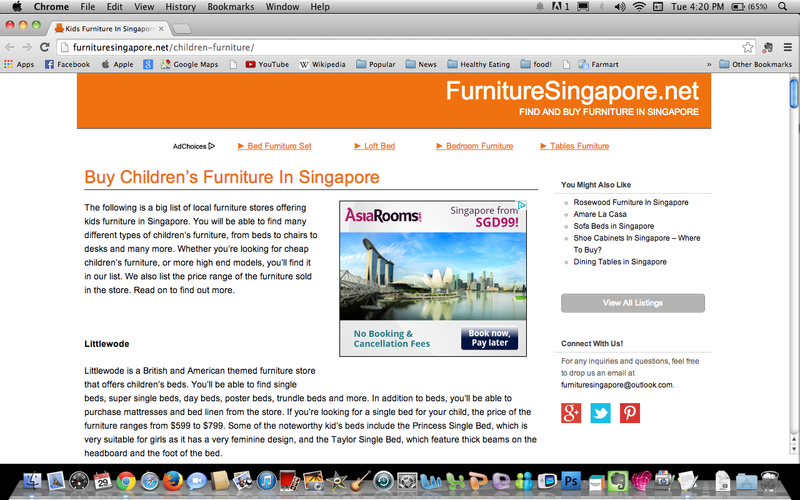 Try out FurnitureSingapore.Net - a guide for all furniture shoppers! It provides a list of furniture shops based on different categories like Kids Furniture, Outdoor Furniture and even provides a list of furniture and home decor blogs. You can also check out this list from New Age Parents, Expat Living, Sassy Mama SG and the IKEA Hackers site.